Український Кінофестиваль у Скандинавії відкриває двері втретє! У всіх цінувачів кіно, є унікальна можливість відкрити для себе найновіші перлини Українського кіно, які цього роки засновані на справжніх історичних подіях, а деякі на нарисах із сьогодення! Запрошуємо усіх скористатися цією унікальною можливістю познайомитися з українським кінематографом! 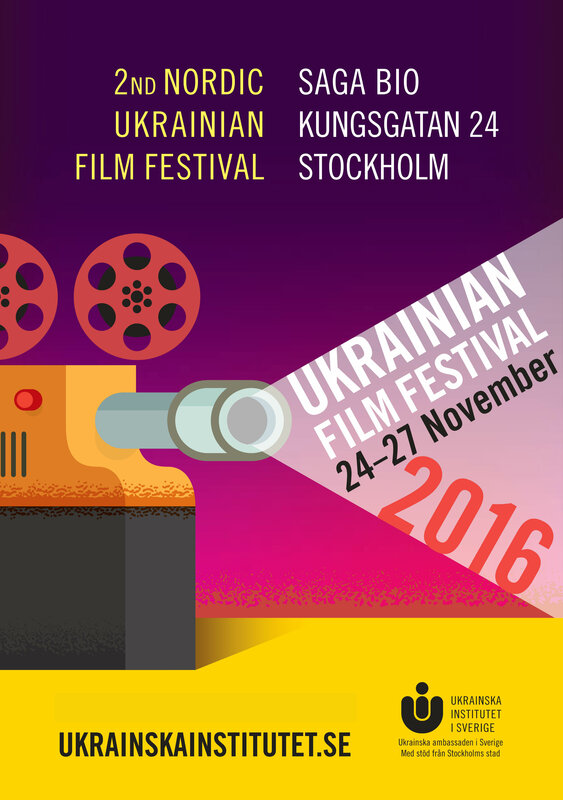 The Second Nordic Ukrainian Film festivalwill take place 24-27 November at Saga bio in Stockholm, and in Gothenburg 25 Oct to 7 Nov. For updated information about Gothenburg, visit this Facebook page. For regular updates, follow us on Facebook and/or on Twitter. Tickets will be released 7 Nov 2016. All tickets can be booked via www.sf.se. Please note that phone booking is not possible. 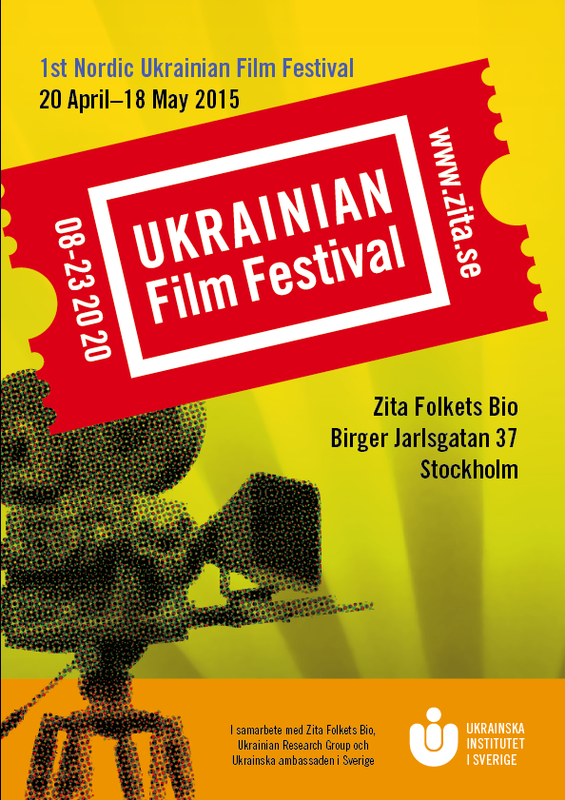 Cinema aficionados in Sweden and potentially other Nordic countries have a unique chance to discover a rich and robust cinematographic tradition as well as gain an intimate experience of what it means to live in Ukraine at the First Nordic Ukrainian Film Festival that opens on 20 April 2015 at Zita Folkets Bio theatre (Birger Jarlsgatan 37, Stockholm). For five consecutive weeks, Monday evenings at Zita Folkets Bio will become Ukrainian Mondays featuring five recent and classical films that represent a fair cross-section of the current state of the national cinema. The festival will open with Brothers: The Final Confession (2013) based on the Swedish novel Hummelhonung (The Sweetness) by member of Swedish Academy Torgny Lindgren. In this film, the stage for action is set in the Carpathians instead of the original novel location of Västerbotten. The cultural parallels and the intense conflict will be especially appealing to Swedish moviegoers. 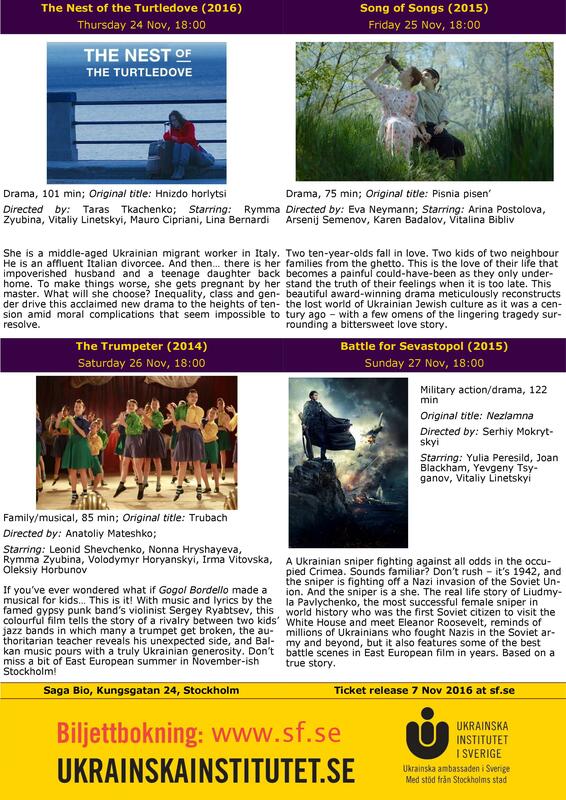 Shadows of Forgotten Ancestors (1964), a story of love, hatred and mystique, caps the festival programme as one of the best known Ukrainian movies and instant classics. 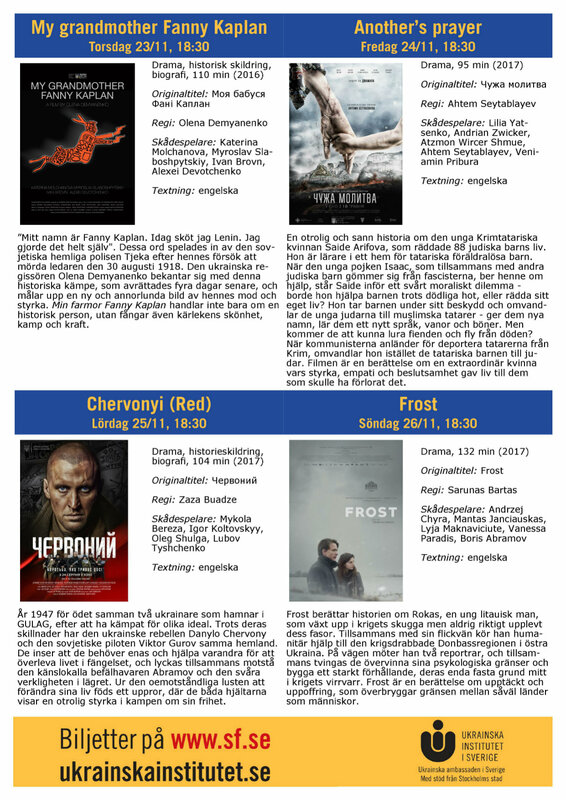 The programme also includes such films as award-winning and praised by critics The Tribe (2014), Crimean Tatar drama Haytarma (2013) which builds up the tension of one man’s struggle against the system, and deeply tragic and humane The Guide (2014) that digs even deeper into the depth of the nightmarish Stalin era. 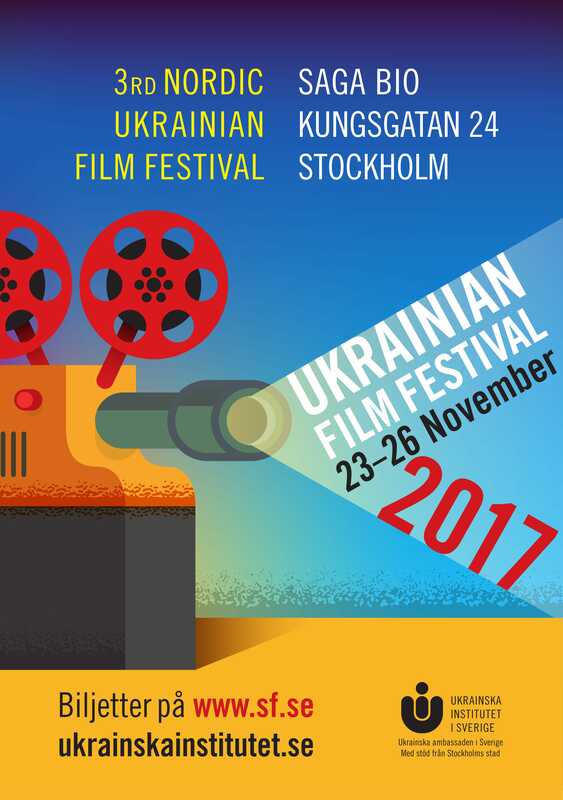 The festival is a non-commercial Initiative of Ukrainian Institute in Sweden in cooperation with Ukraine Research Group and informational support of the Embassy of Ukraine in Sweden. All profit will be donated to the humanitarian needs of the people who suffered from the aggression in the Eastern Ukraine.